How do you celebrate or handle the nervousness of graduating from university? 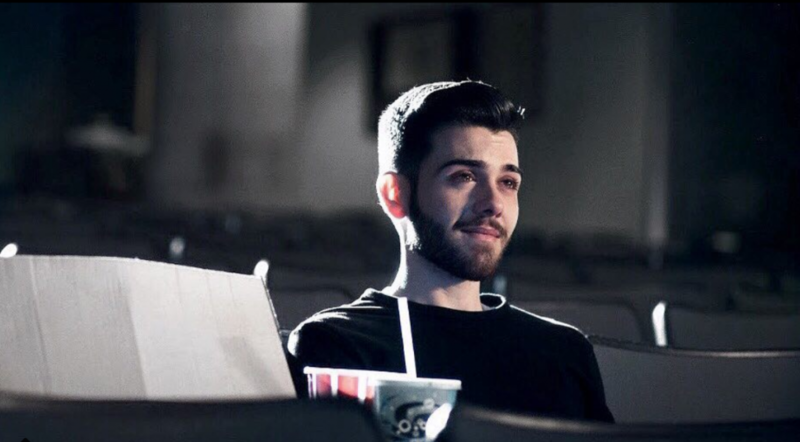 Mikael Melo, an RTA School of Media student produced and starred in a episodic music video that highlights the highs and lows of his life. Set to the tune of Kesha’s song, “Rainbow,” the video is a coming of age story chronicling the end of his academic career. The Ryersonian sat down with Melo to chat more about his creation. Also check out the video interview with him below. Why were you inspired to create this music video? I recently went through a house fire and it really impacted me. It’s showcased in the music video but having gone through that I have a lot of VHS tapes and it reminded me of all the memories I had and the things I cherish. I was a Road to Ryerson student and I documented my transition into university, so I wanted something to bundle it all up with my transition out of university and wrap it all up. After this I won’t be a student ever again – at least not for a while. So I wanted something to cohesively showcase a life lived and moving into the next chapter. Why did you choose to cover Kesha’s song Rainbow and how did it tie into the script? I’ve shot a music video at the end of every year of my university career and that usually happens because a song just plays on shuffle and I get a vivid idea of a music video. When I first heard Kesha’s album I had the idea of an old man walks into a theatre and watches his life as angels appears around him and then he passes away. It’s very similar to the music video now but I had it to Kesha’s “Learn to Let Go.” But one day I was at the gym – (Kesha’s) Rainbow came on and I had just visited my hometown after my house was rebuilt and I think the song of Rainbow just tied in more. I realized the old man isn’t me and that I should just play my own story and I don’t need to create a fake life when I already lived a life on my own. How are you feeling and preparing for the next chapter of your life? I’m really nervous to graduate because I think it’s the first time in a lot of people’s lives where it’s so uncertain. To finally not be a student and have a lot of freedom of choosing your path and all the alternative roads, I think there’s a lot of pressure. But I think it’s also the most exciting part of your life where you can experiment and try new things and fail or succeed, similar to what you were doing as a student but in the place of work instead. Did the people in the video share a special connection with you on this journey? I tried to include everyone who’ve impacted my life, from elementary school to family members, to university friends. It’s a good reminder that every connection you make big or small impacts you in a certain way. Something I loved was that the person who grabs my hand in the music video was the first person I met in university and that had a really cute tie-in as well. It means something special for me. What message do you want viewers to understand by the end of the video? Everyone has a life lived and a story. It’s so important to acknowledge that the people we meet and come in contact with impact us. University is a time where we have growth spurts with our beliefs and personalities. Like a TV show – like Friends. There’s 10 seasons of Friends but sometimes it’s cool to go back to Season 2 and watch how that character grew. It’s the same with your life, it’s important to watch how you’ve grown and enter the next season of your life.